This salt is formulated to soothe tired muscles, and create a calming, comforting environment. Directions: Dissolve 100g into bath water, and soak. 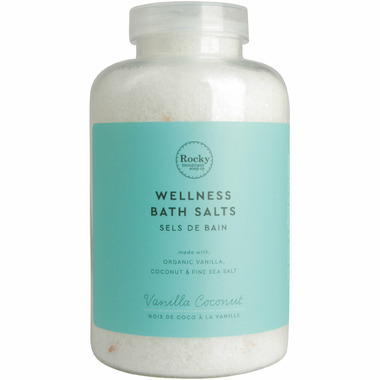 Ingredients: Magnesium Sulfate (Epsom salt), Sodium Chloride (Pink Himalayan and Sea Salt), Vanilla Flavour*, Coconut Flavour*.